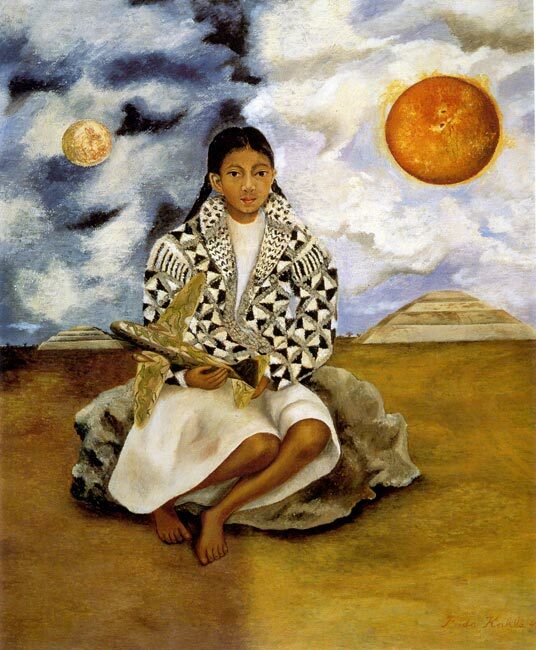 If you want to browse many of Frida’s ‘classics’ online, the most accessible website we’ve come across to date is a Greek one (!) - esoterica.com (link below). Takes a while to load the page as there are so many - large - images on it, but it’s worth it. ... her treatment of the alter ego - so visible in the ubiquitous spider-monkey in her paintings, as well as in the humming-bird and deer figures - in much the same way as the pre-Hispanic ‘nahual’ companion figure (see our Aztefacts section). 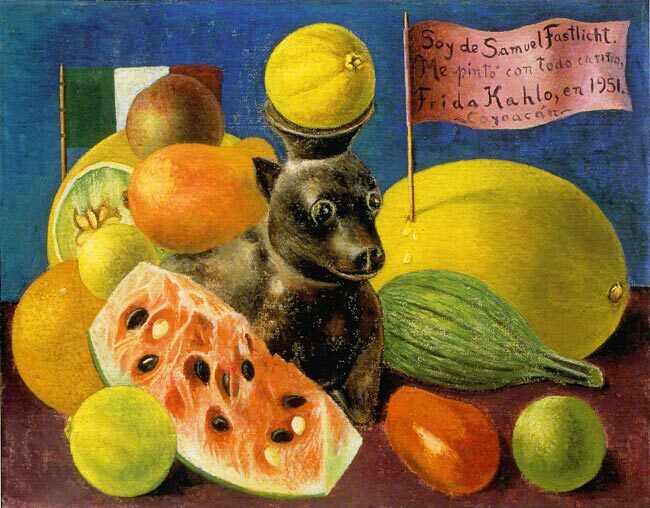 The most mysterious Frida Kahlo’s painting, “The Wounded Table”, disappeared in 1955, is now in exhibition, as a replica, in Germany, at the Kunstmuseum Gehrke-Remund. 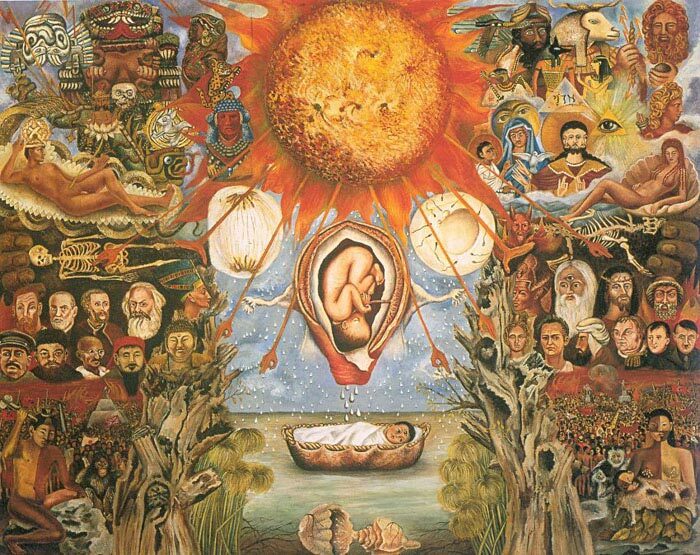 We have given a totally new interpretation of the painting going back to the pre-columbian roots of Frida Kahlo. 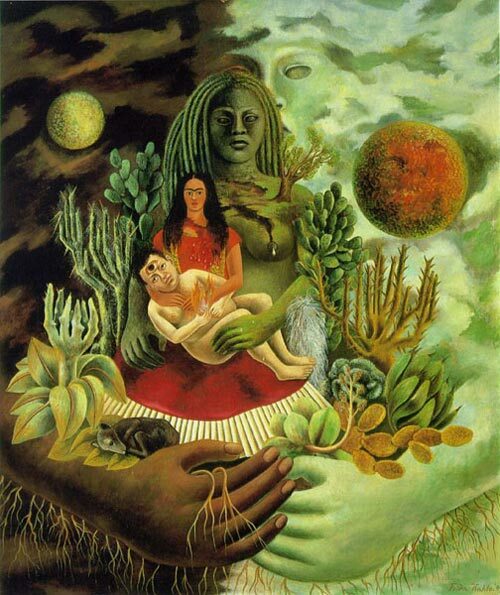 The painting shows Frida Kahlo as part of a Nayarit couple, and Mictlancihuatl who plays with a strand of Frida’s hair. Photo available on request. 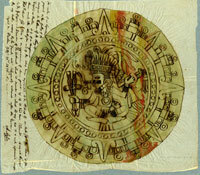 Über 100 Gemälde (lizenzierte Repliken: © Banco de México Diego Rivera & Frida Kahlo Museums Trust / VG Bild-Kunst, Bonn 2008) – meisterlich gemalt - werden im Kunstmuseum Gehrke-Remund gezeigt. Frida Kahlo, schon zu Lebzeiten eine Legende. Malerin - Ehefrau von Diego Rivera - befreundet mit Picasso - Geliebte von Trotzki und Josephin Backer.